North Korean leader Kim Jong-un is still committed to denuclearization, South Korean President Moon Jae-in said, per CNN, adding that both he and Kim believe the planned summit between Kim and President Trump must take place. The details: The two leaders met secretly on Saturday morning, after Trump's surprise announcement on Thursday. 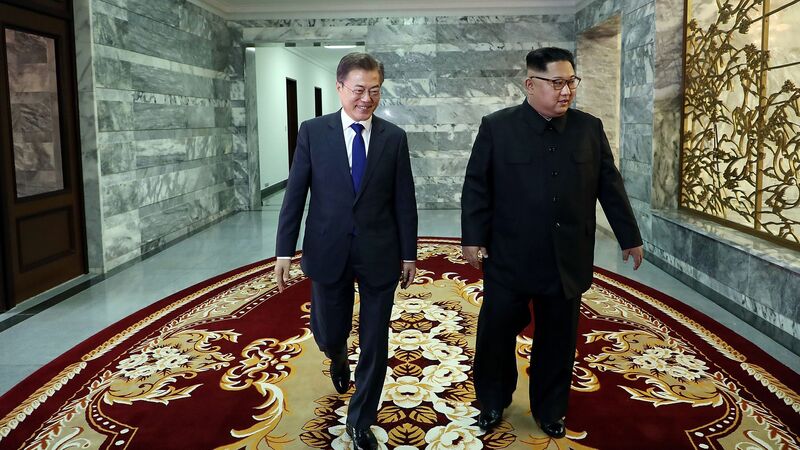 Moon said Kim "expressed his intent to settle the history of war and confrontation, and to cooperate for peace and prosperity through the success of the North Korea-U.S. summit," per CNN. CNN's Will Ripley reported that the meeting between President Moon and Kim Jung-un was arranged at Kim's request with just 24 hours notice. Press Secretary Sarah Sanders said earlier on Saturday that the White House advance team would still travel to Singapore as scheduled, in case the meeting goes ahead.